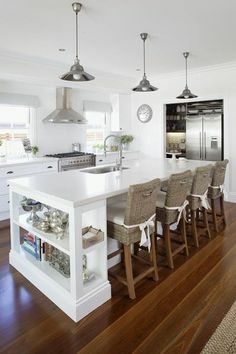 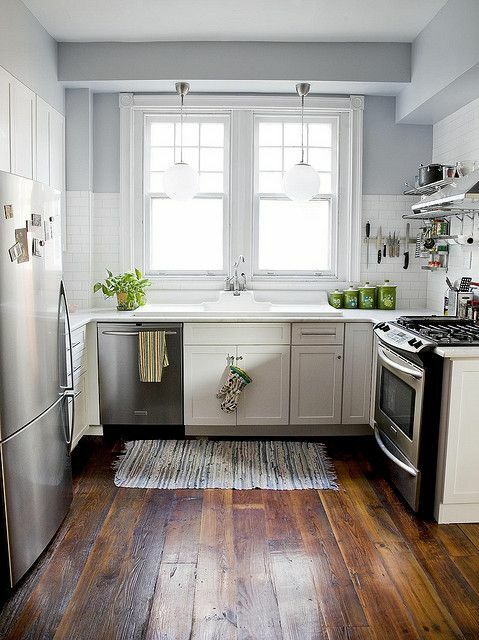 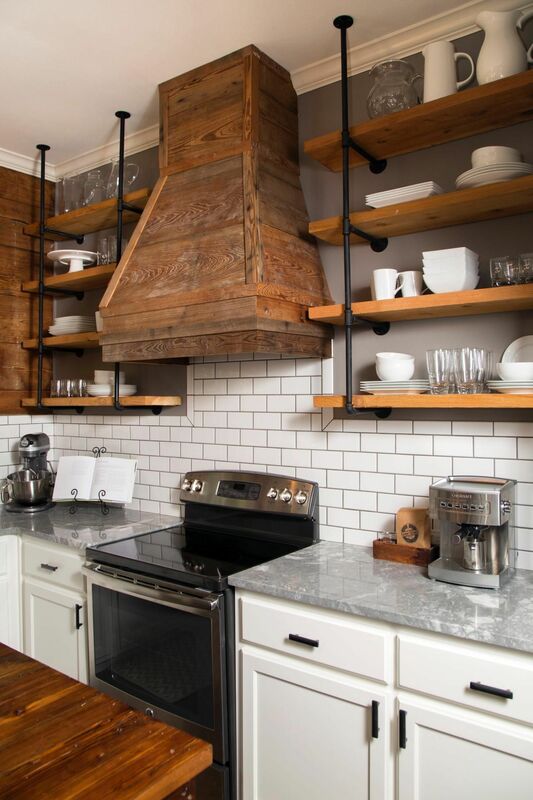 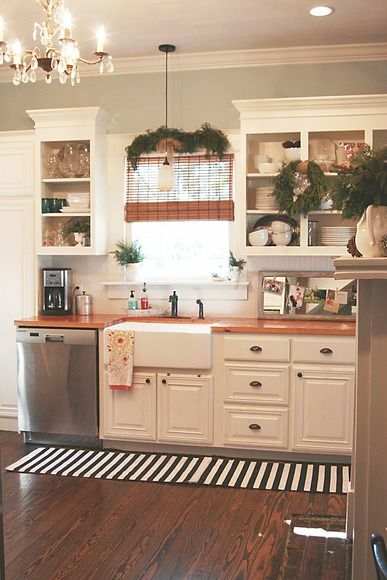 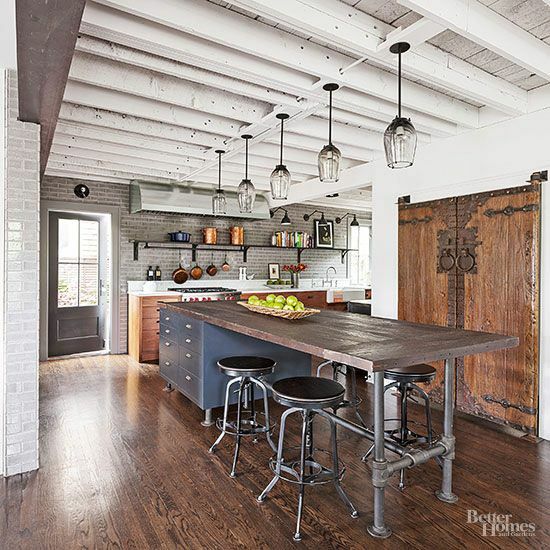 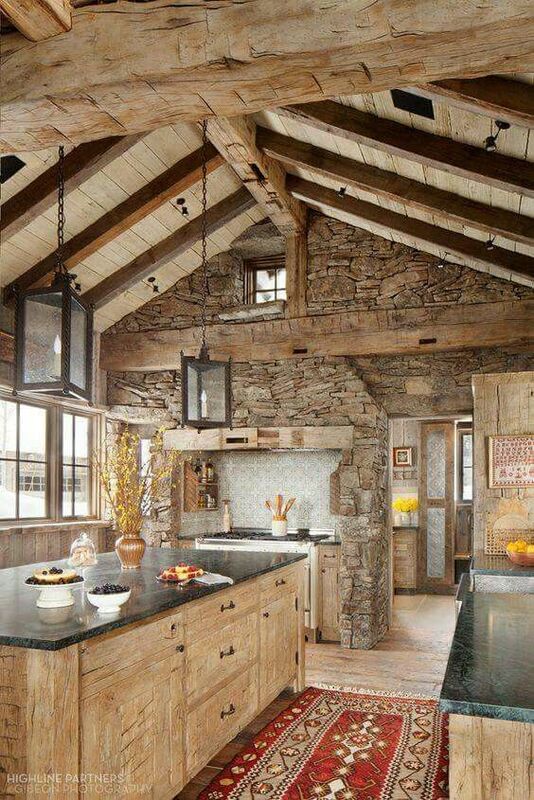 I like this kitchen because the wooden beams remind me of Rachel and Monica's apartment on Friends! 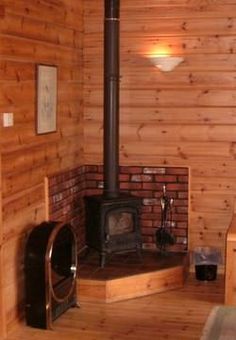 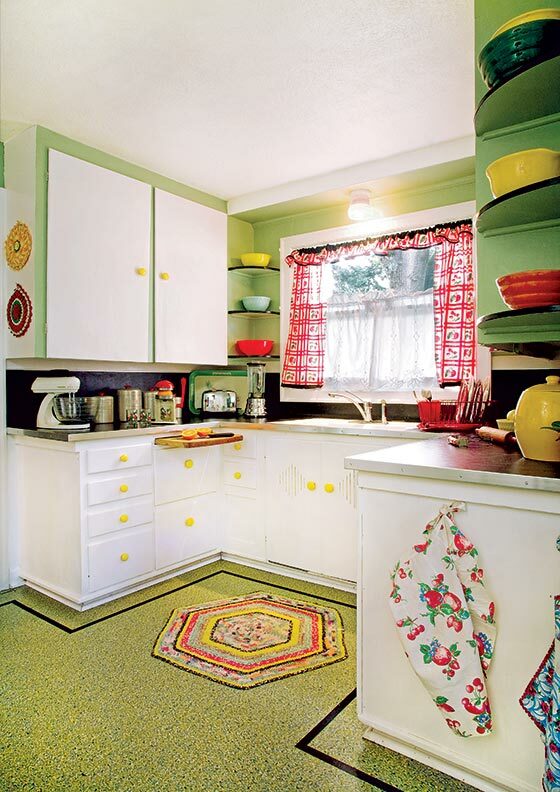 And the stove - the first one I've seen in photos that looks identical to the one in our kitchen when I was a kid. 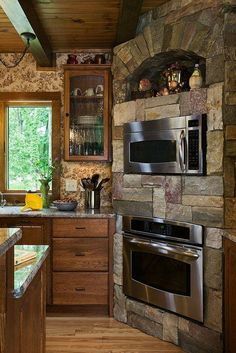 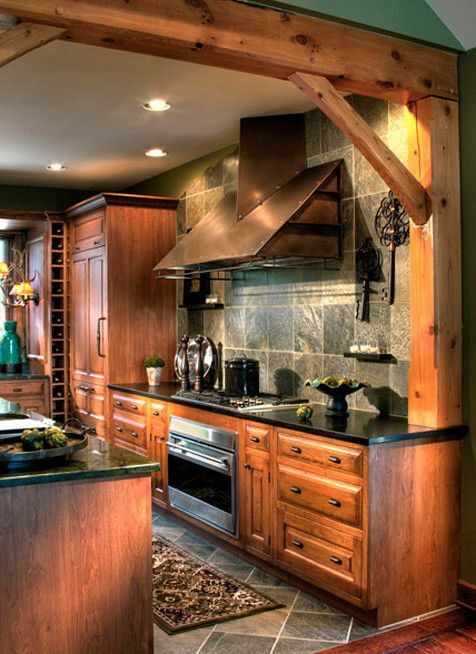 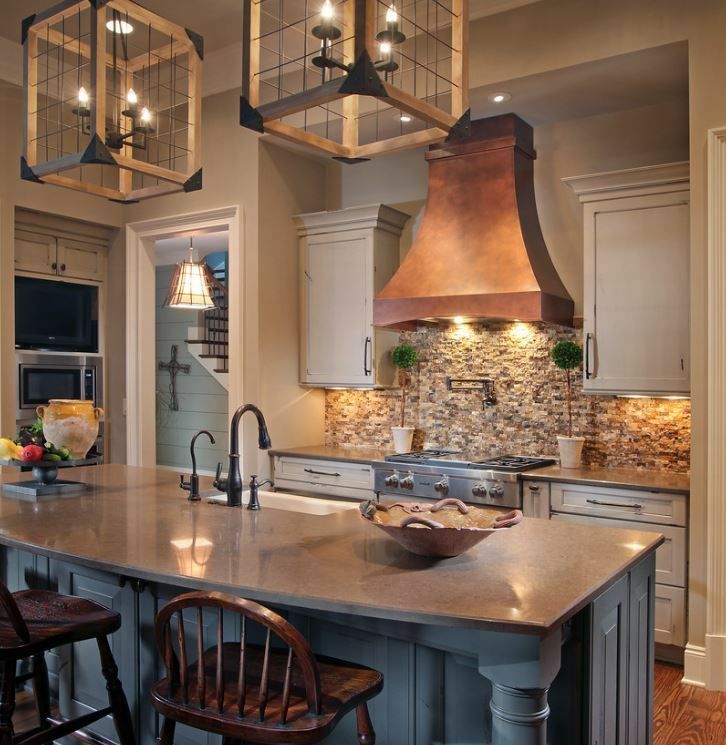 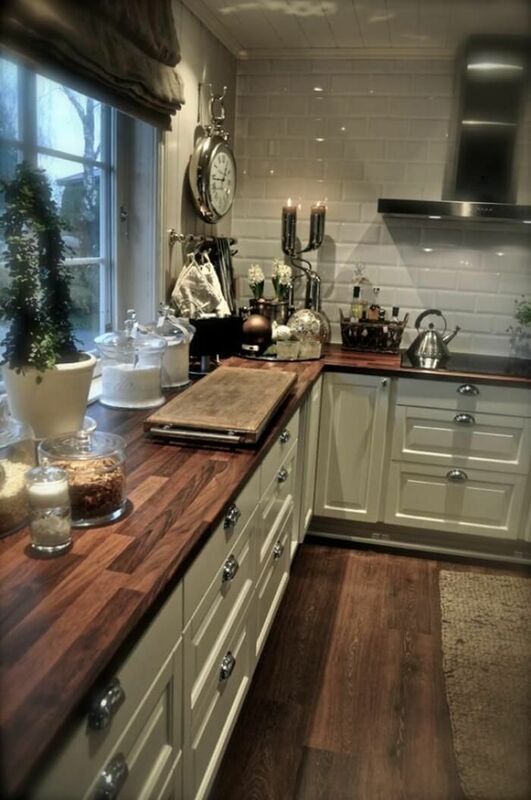 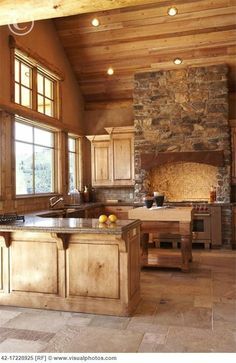 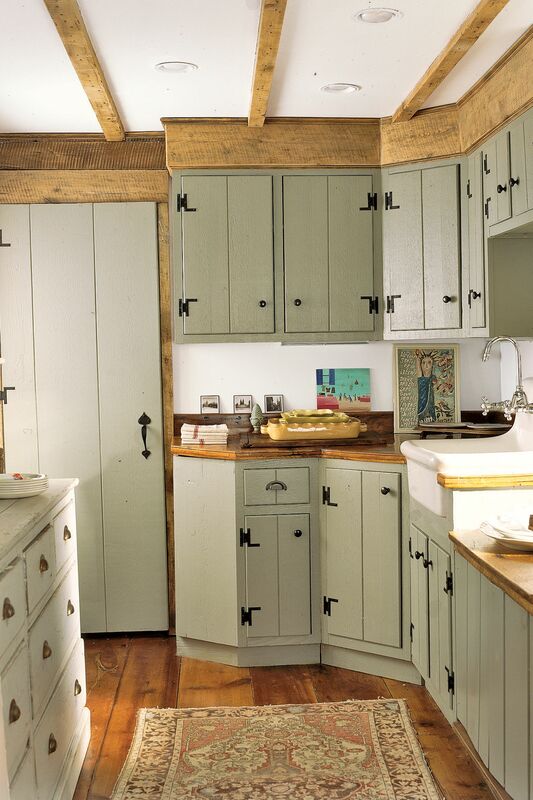 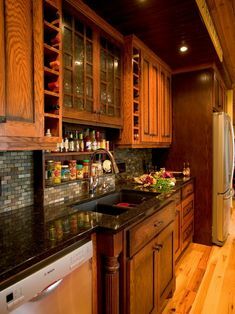 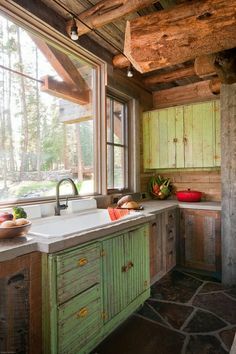 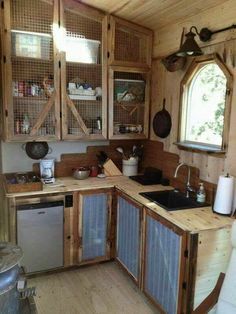 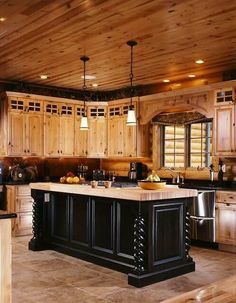 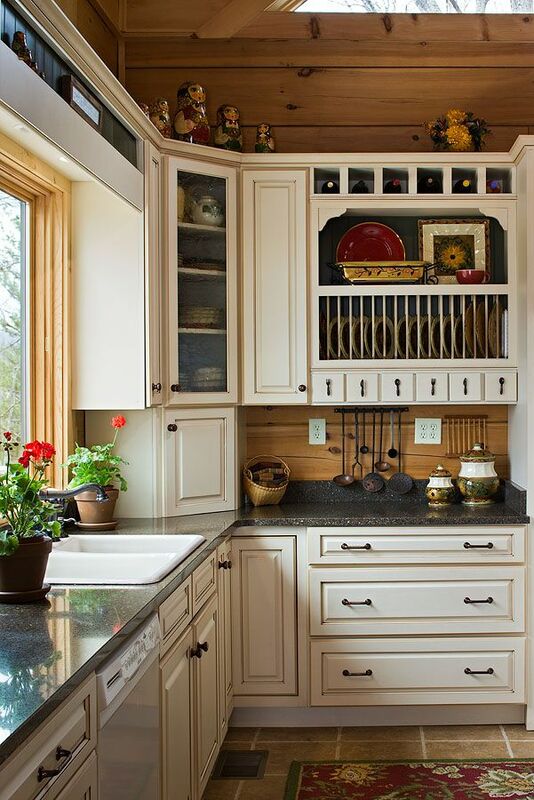 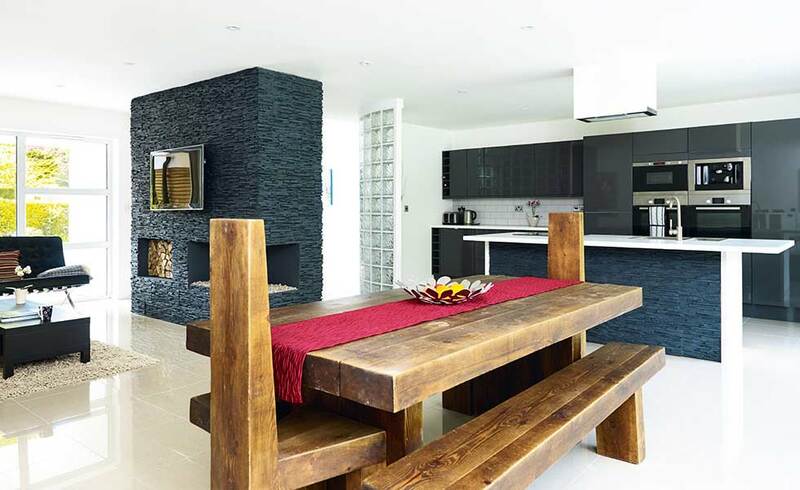 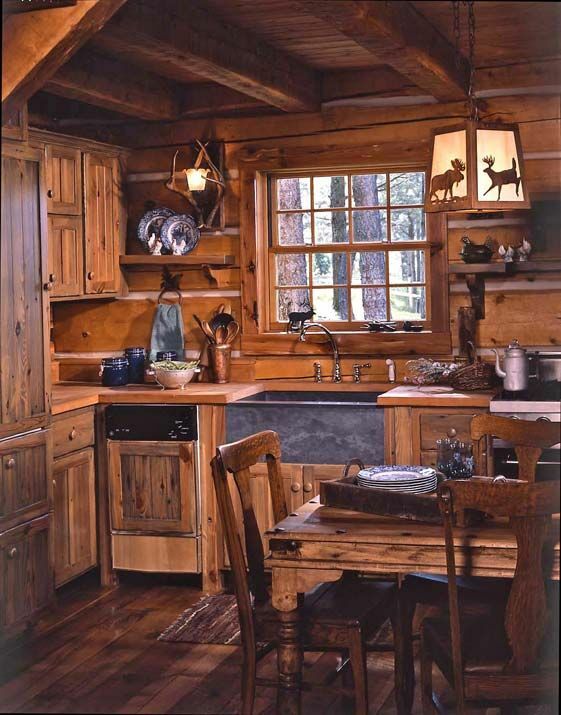 I love the rustic look of a wood and stone kitchen. 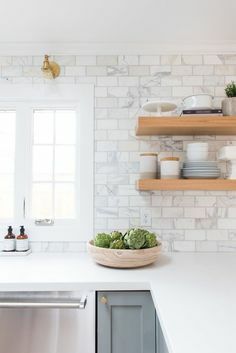 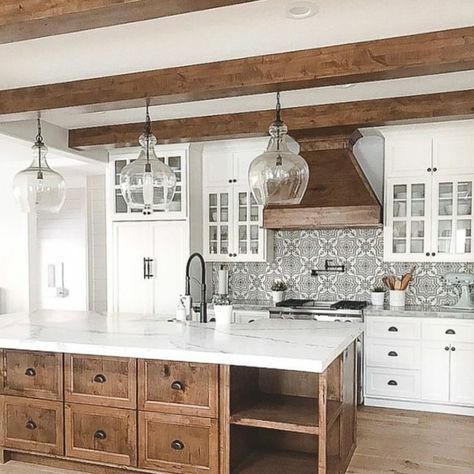 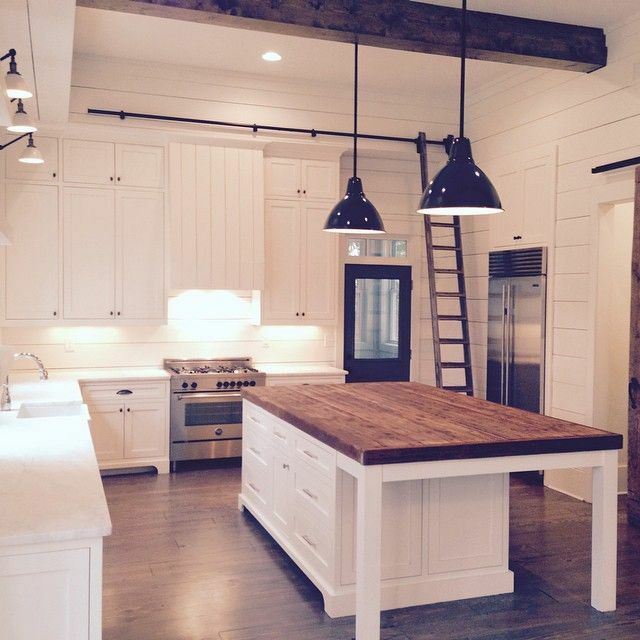 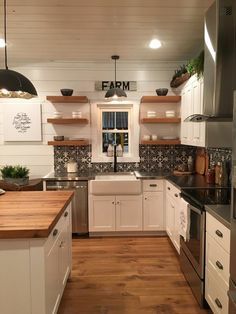 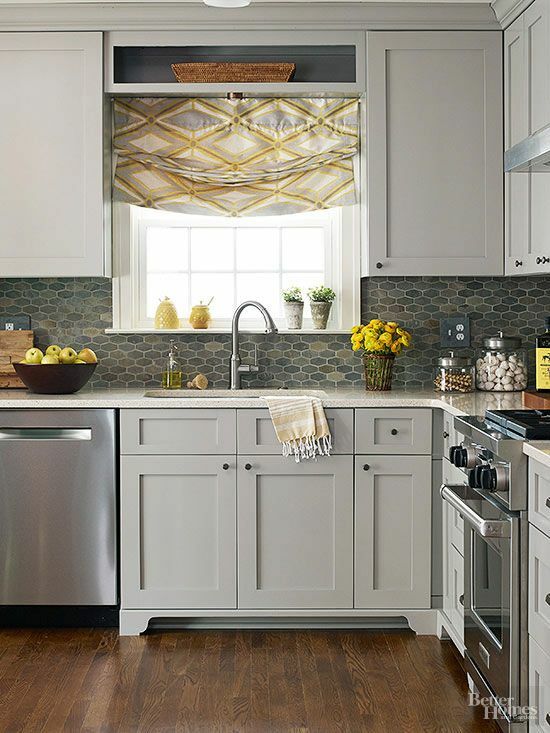 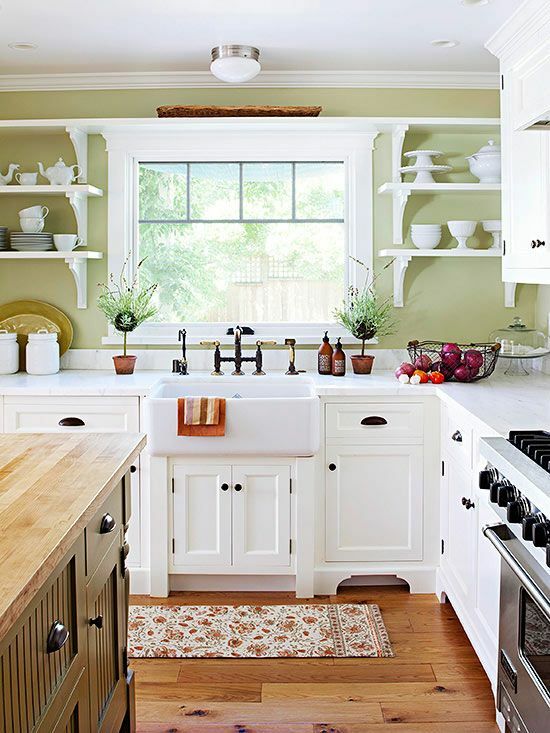 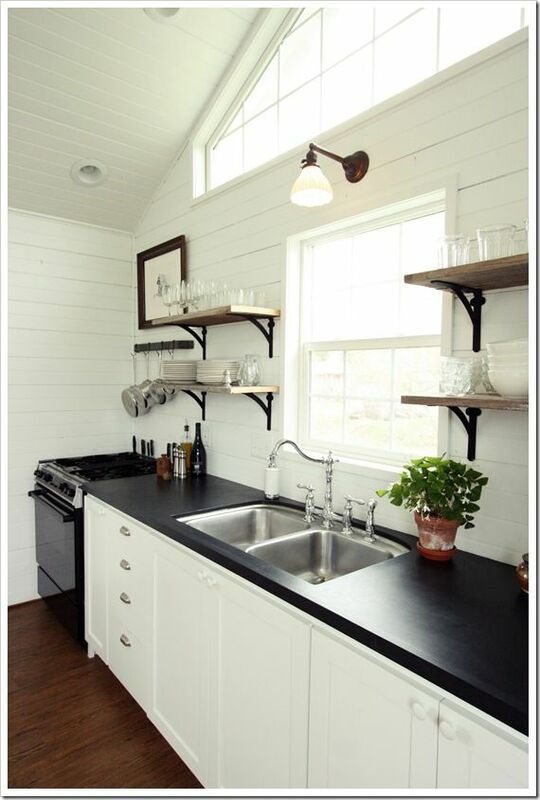 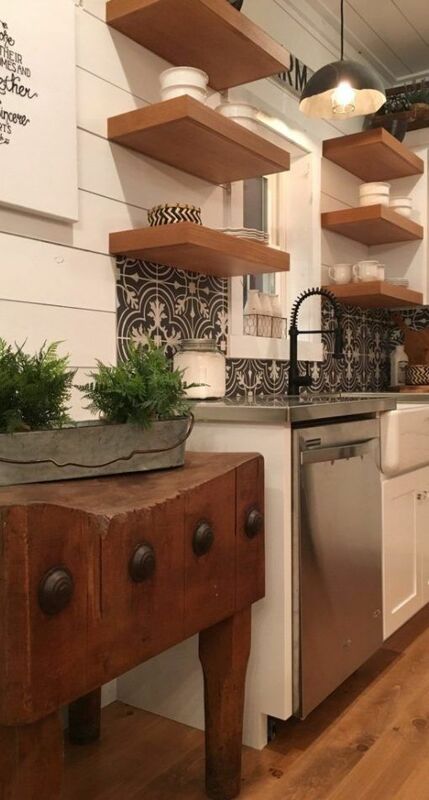 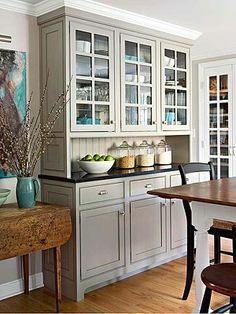 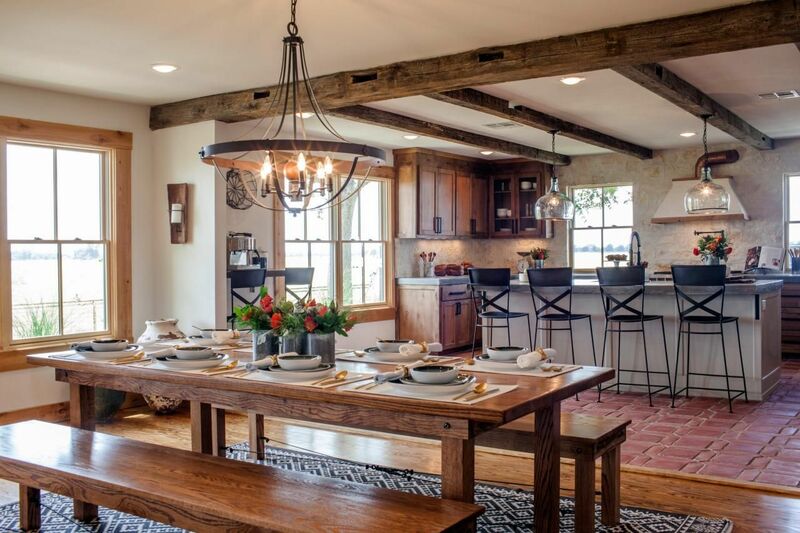 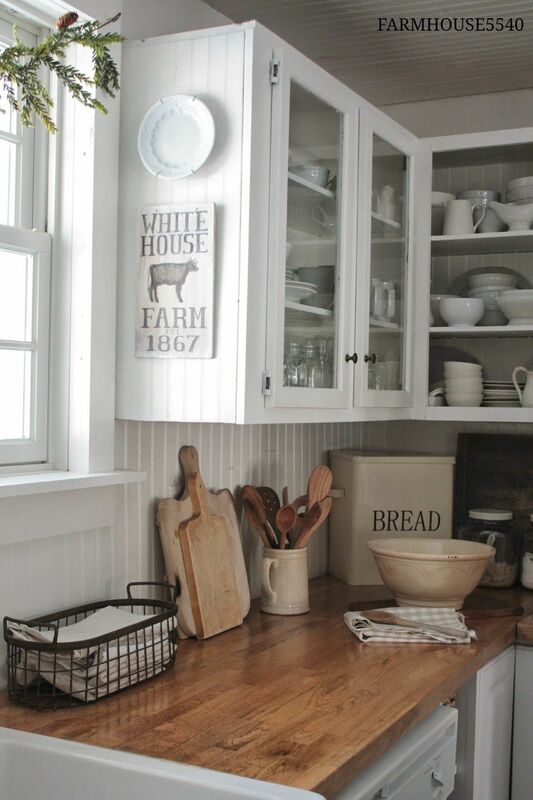 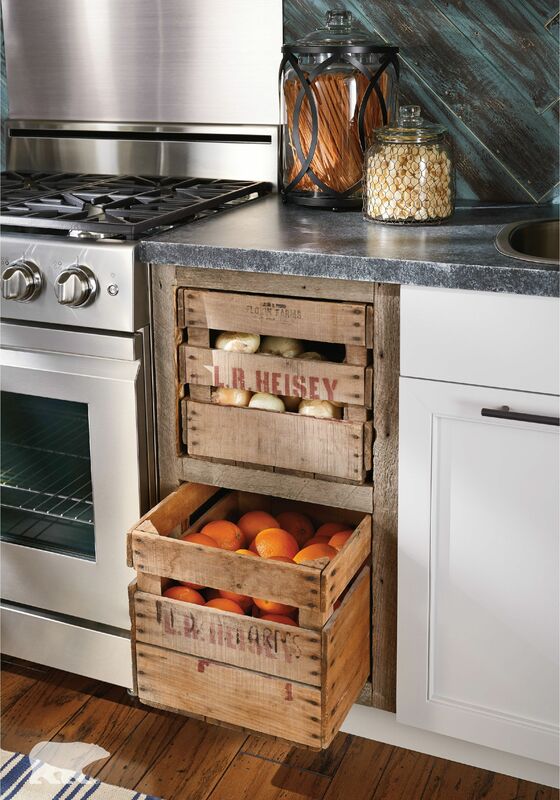 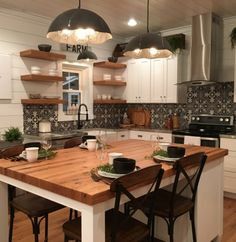 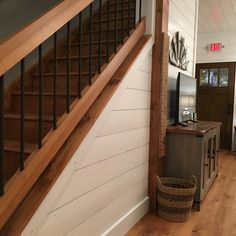 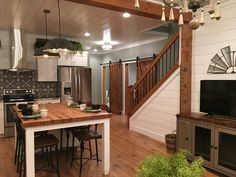 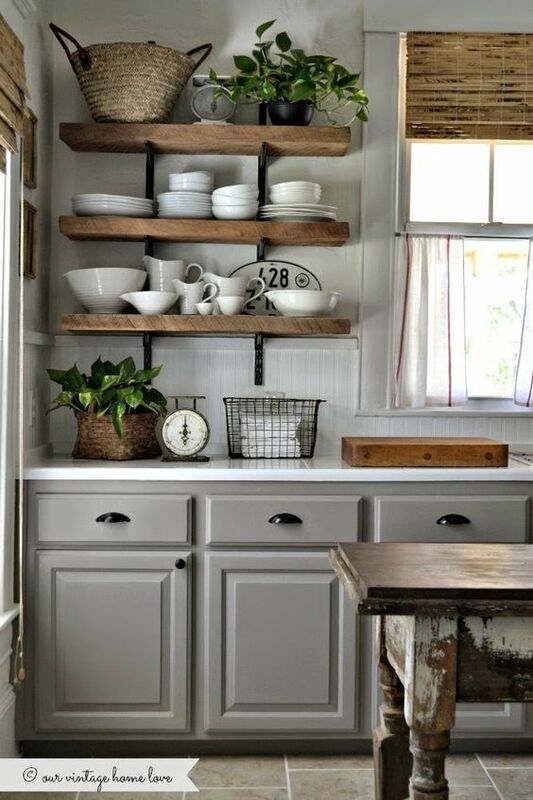 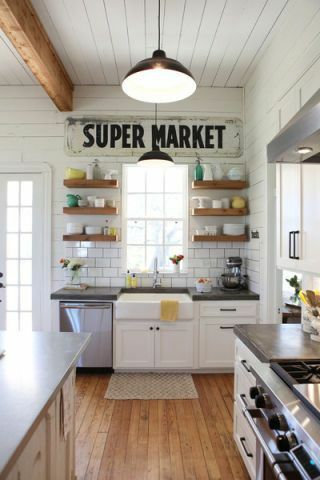 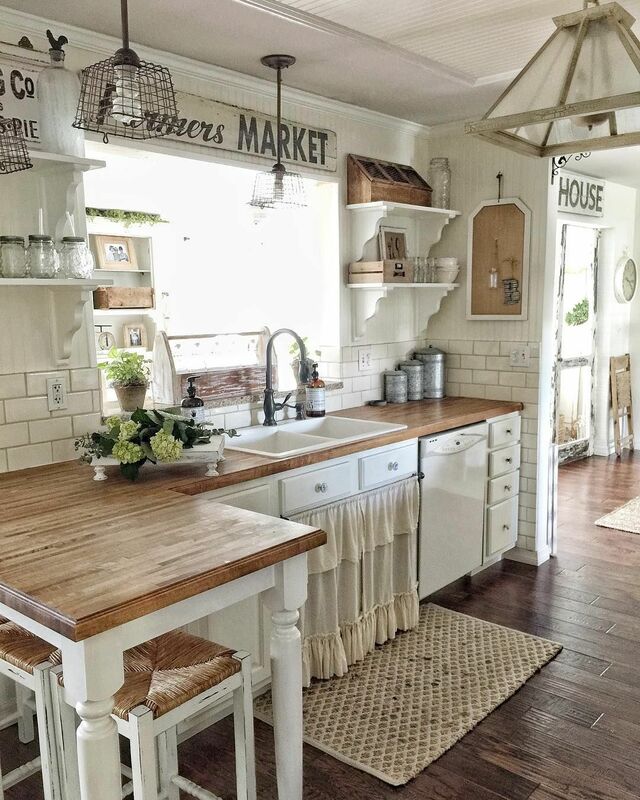 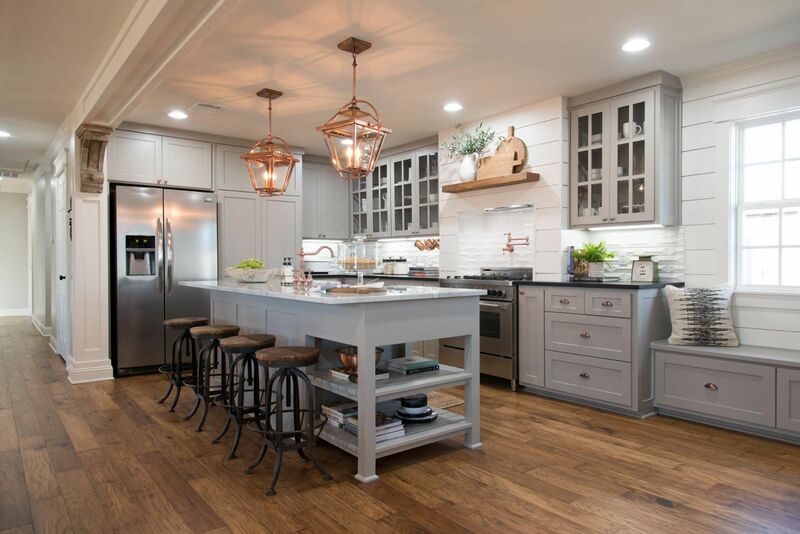 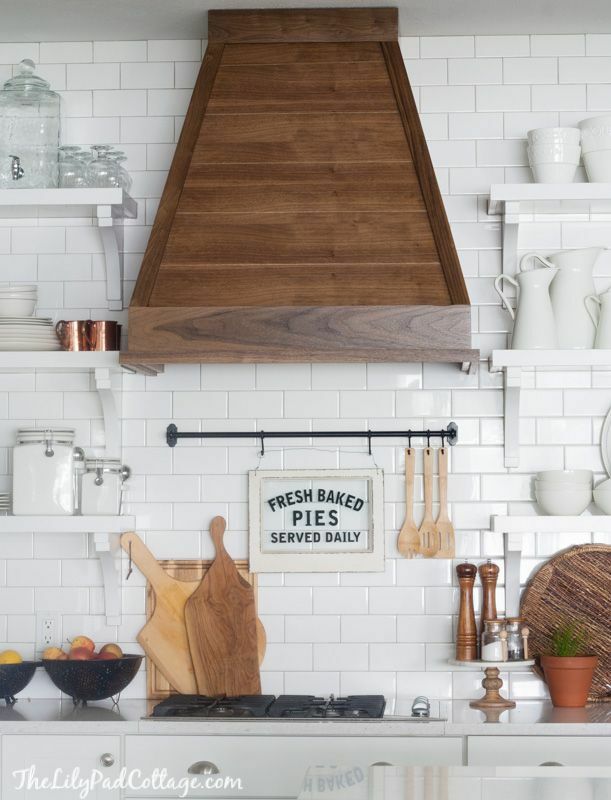 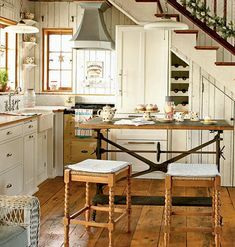 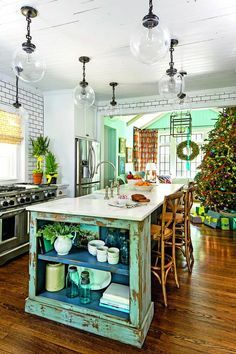 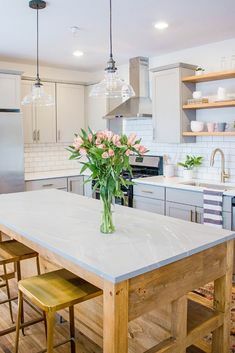 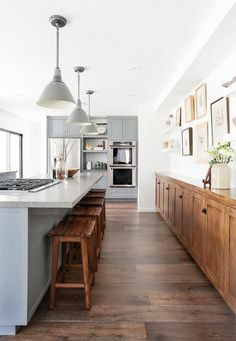 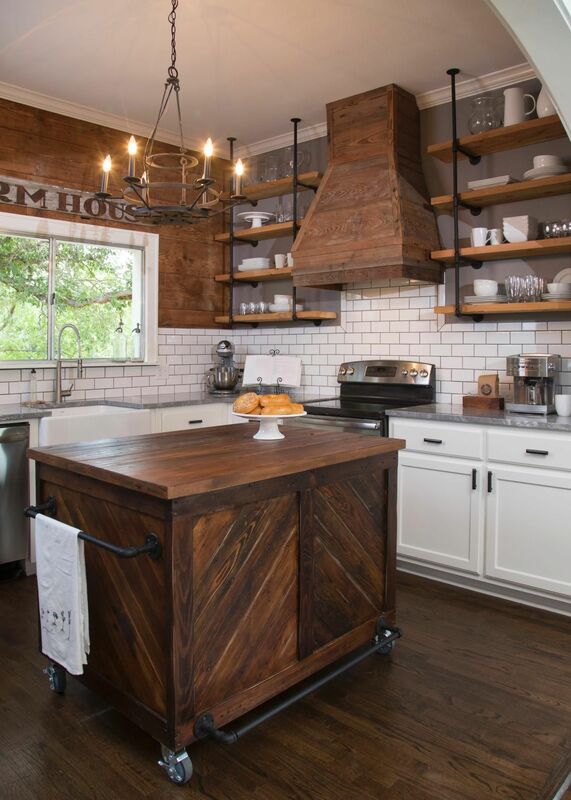 I love this farmhouse kitchen by Joanna Gaines/Fixer Upper. 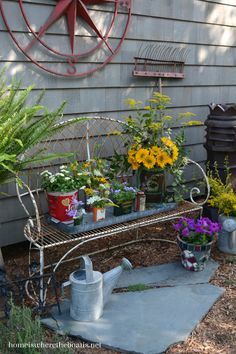 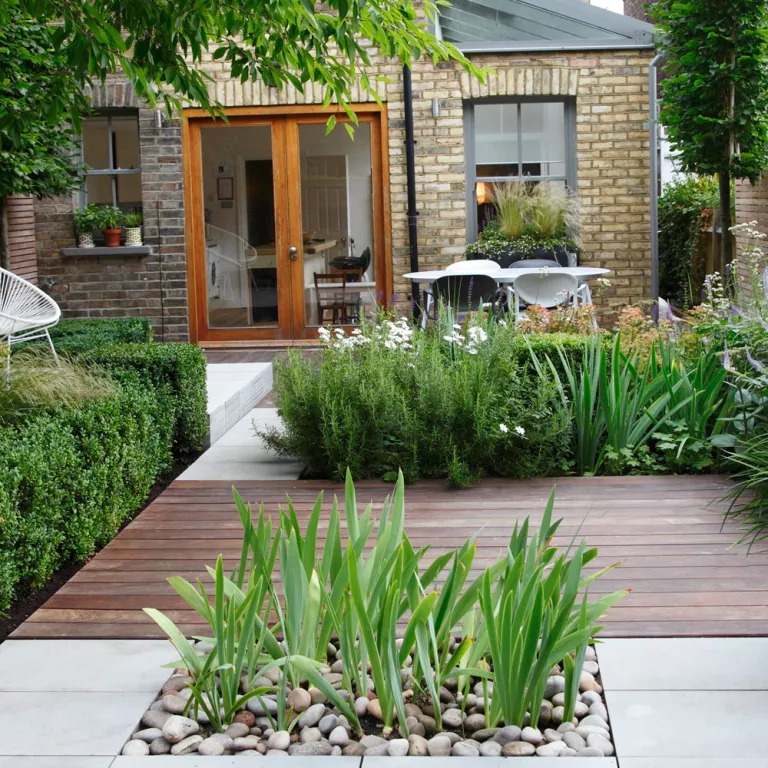 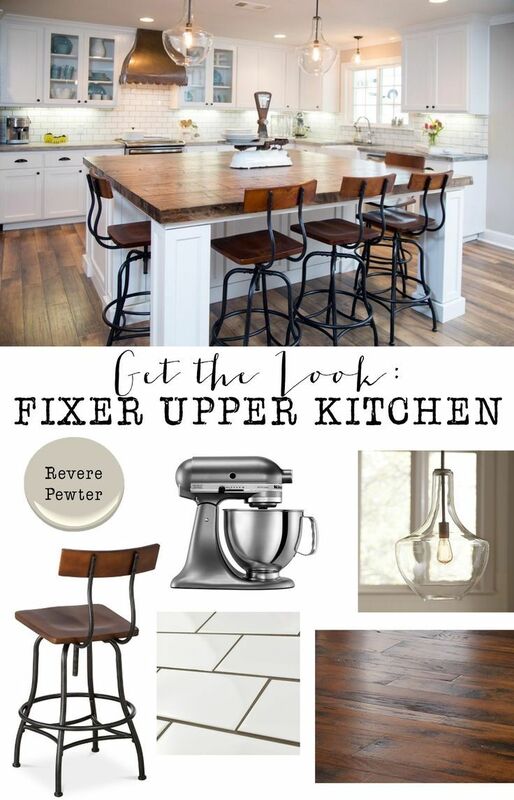 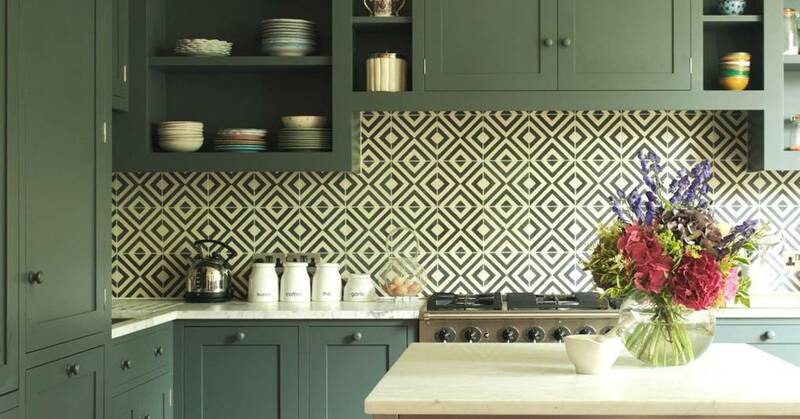 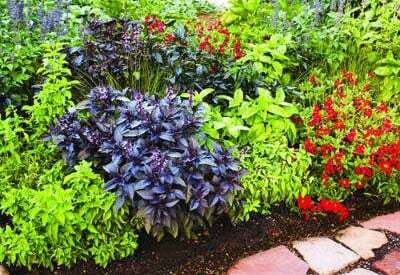 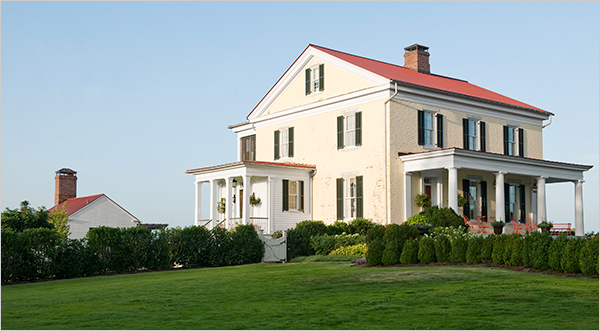 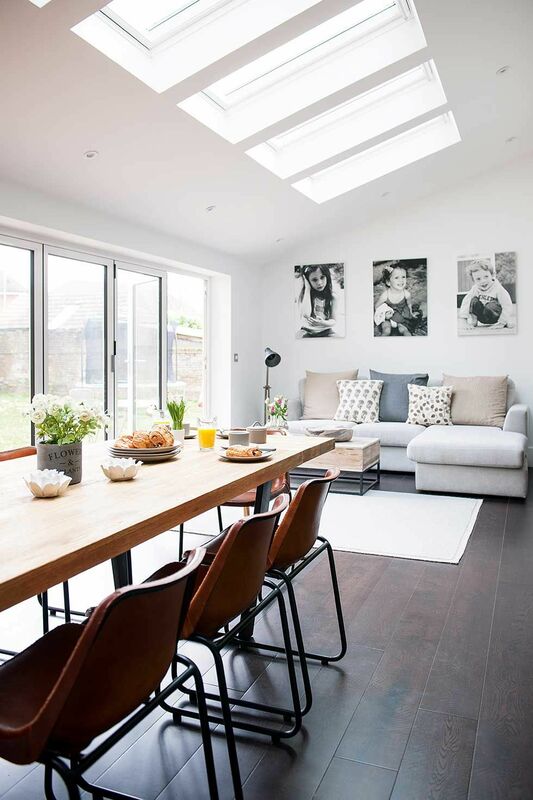 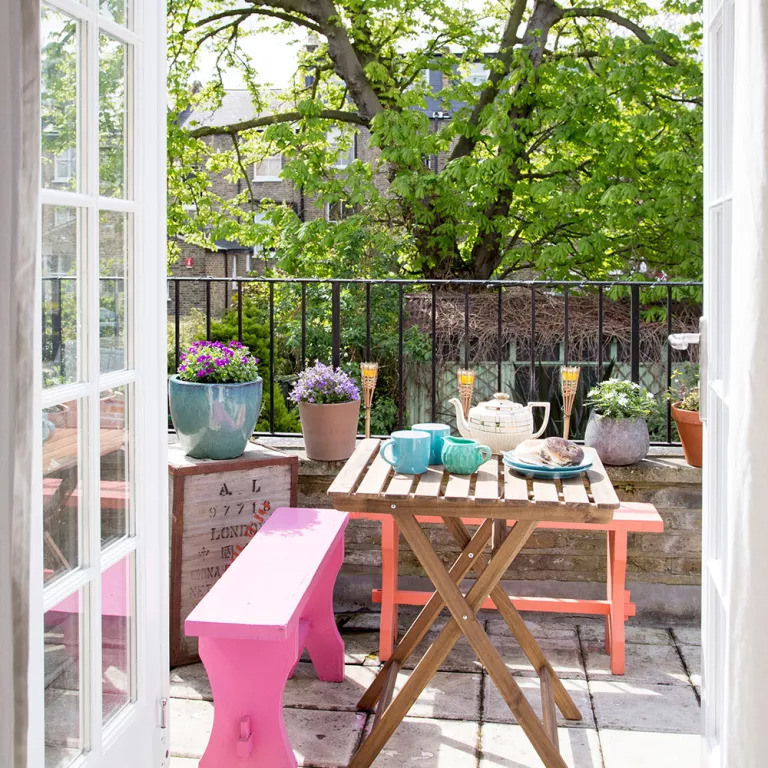 Today I am sharing all her sources and showing you how to "get the look" in your own home. 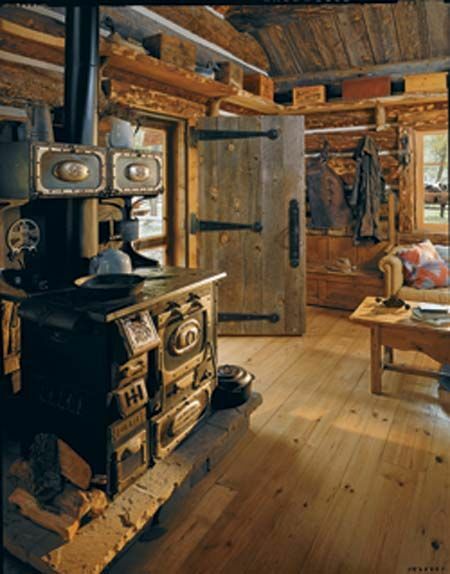 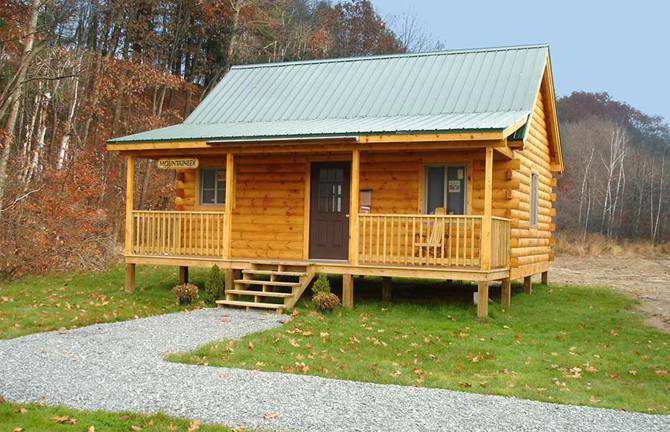 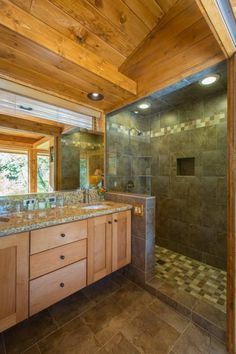 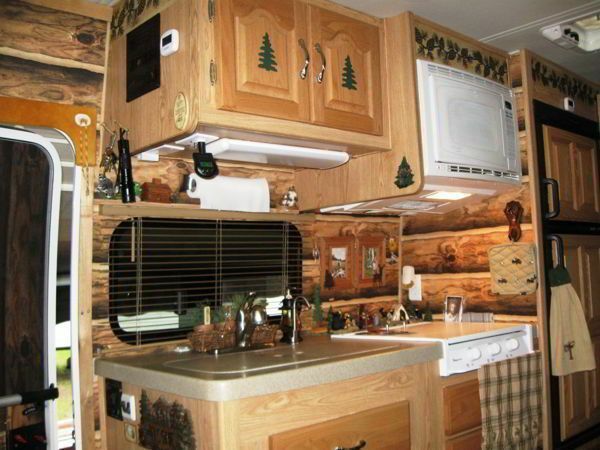 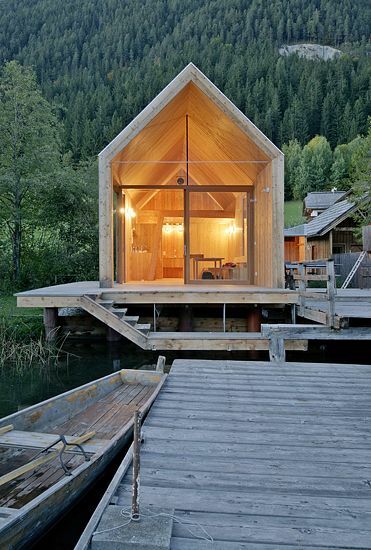 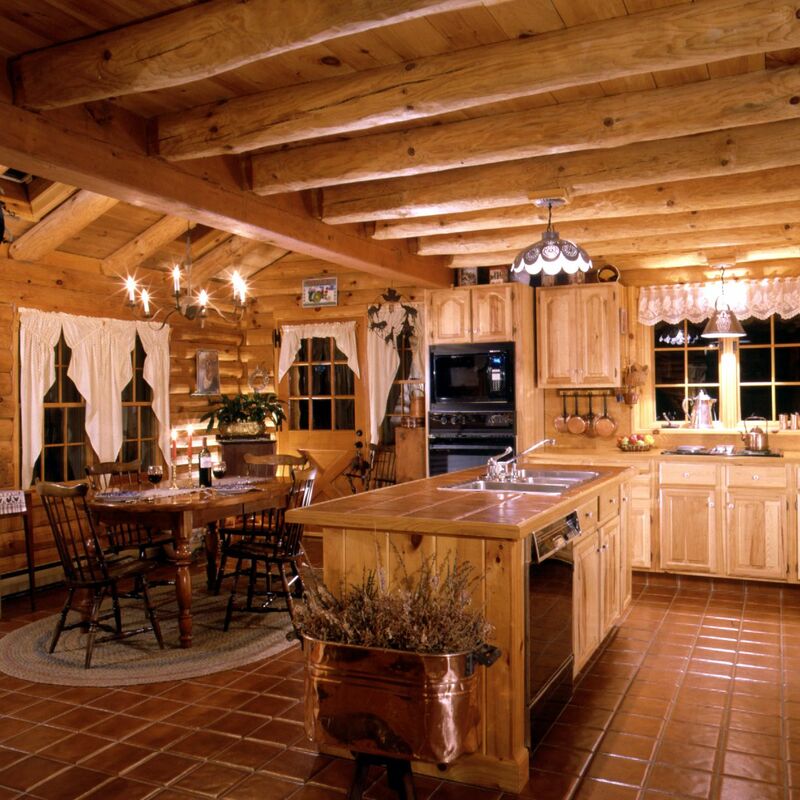 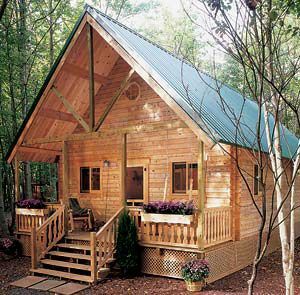 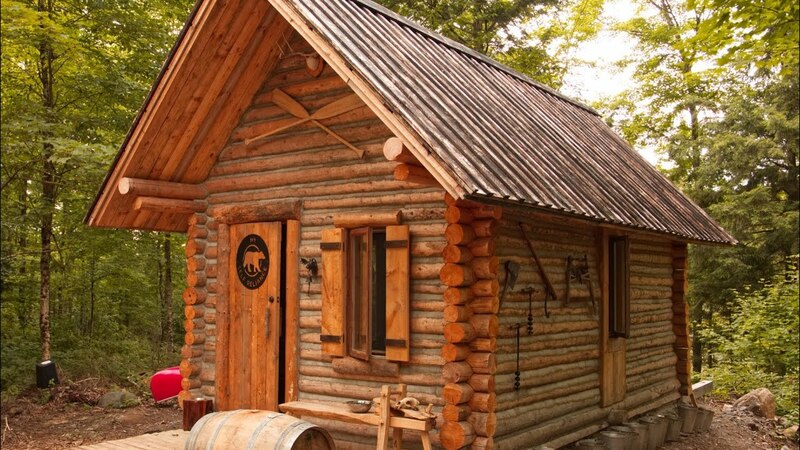 I've always loved the idea of a log cabin home. 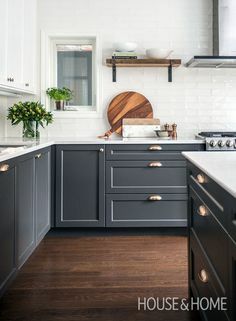 The one on this Pin and all the ones in the link are gorgeous. 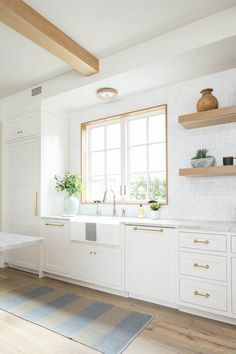 I could see living in several of them.